CLOSED Giveaway: Enter to win a Stayfree Gift Set! As y'all might remember, I did a Stayfree Challenge (check it out here) last month to show how incredibly absorbent the Stayfree pads are. Now you have the chance to see for yourself how amazing they are with this little Stayfree Giveaway! 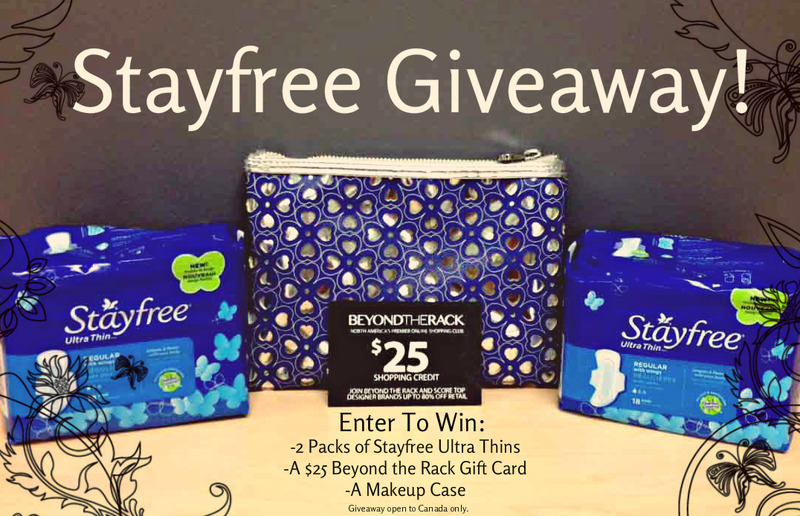 The prize includes 2 packs of Stayfree Ultra Thins, a $25 Beyond the Rack Gift Card, and a snazzy blue and silver makeup bag. To enter, simply fill out the rafflecopter below. This giveaway is open to Canadians only, good luck ladies!